media update’s Nicole van Wyk recently sat down with Dennis Ngango, vlogger and owner of Defining Media, to unpack both the ‘behind the scenes’ as well as the ‘highlight reel’ of a career in vlogging. Keen to learn more? Check out our video to see all that the vlogosphere has to offer. If you’re unfamiliar with the term, vlogging is basically a blog but with videos. The people behind this form of digital storytelling are known as vloggers, and these creatives spend a great deal of their time recording videos and adding effects to attract viewers. Pretty cool, huh? It’s a great career to get into, but it’s not as simple as you might think: the content vloggers create requires a great deal of research for instructional-based content, which are basically ‘how-to’ videos based on the vlogger’s (and other sources of inspiration) experience. This is quite a niche area of expertise to get into, and not a lot of people can make a success of vlogging as a career. 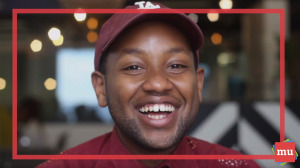 You can check out some of Ngango’s other content on his YouTube channel, DEFINING, which he says offers a digital dose of thought-provoking, heartwarming and empowering African content. Have a look at A career in vlogging: Do you have what it takes? to gain a more in-depth understanding of how vlogging works, and if this might be is the job for you.